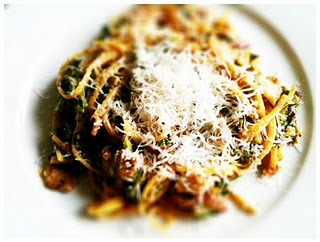 It is hard to believe that we are now half way through our third round of Supper Club. 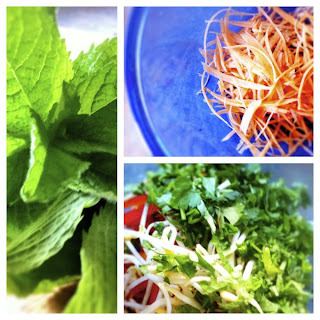 Last month saw a Thai feast, it really is the perfect summer feast, light and bursting with flavour. There has been a lack of red chillies. 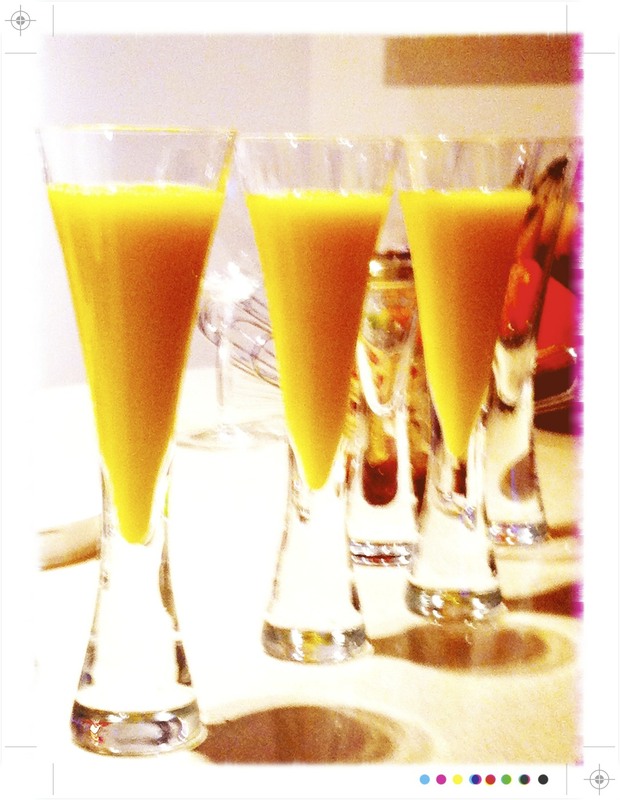 To get the party stared a Mango Daiquiri, a glass full of a tropical summer. Fresh and fruity with just a hint of coconut. Coconut always so evocative of summer holidays to me, transporting me to palm trees and beaches, salty air, sand in my hair, Hawaiian Tropic sun tan lotion. Or back in the day, back in Scotland where at even a hint of sunshine the Hawaiian Tropic coconut oil or go forbid baby oil would be to try and get a little bit of a tan. 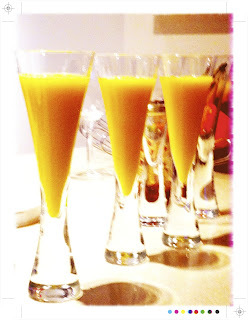 For a Mango Daiquiri grab a blender, some ice, throw in a can of mangoes and their juice (or fresh mangoes and a little sugar syrup), Malibu if you really want that tropical coconut flavour, though you could also use vodka or any other rum depending on your preference plus a little lime juice. Blend and serve with a little umbrella. 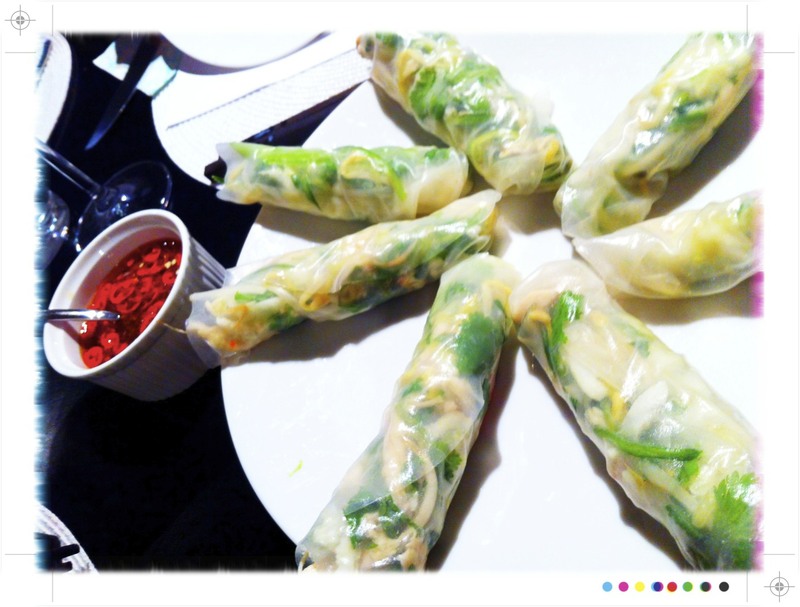 Appetite whetted, our entree was Coconut Chicken Rice Paper Rolls with 2 Thai Dipping Sauces. Chicken, fresh vegetables, chilli, ginger, fish sauce, mint, coriander would have been wonderful but what really made these special was the addition of fresh coconut, for texture and flavour it makes these really quite something. Dunked in a tangy sauce spiked with chilli and fish sauce or a sweet chilli jam sauce, I could eat a whole plateful of these for myself. Light and fresh flavours make these perfect for Summer. 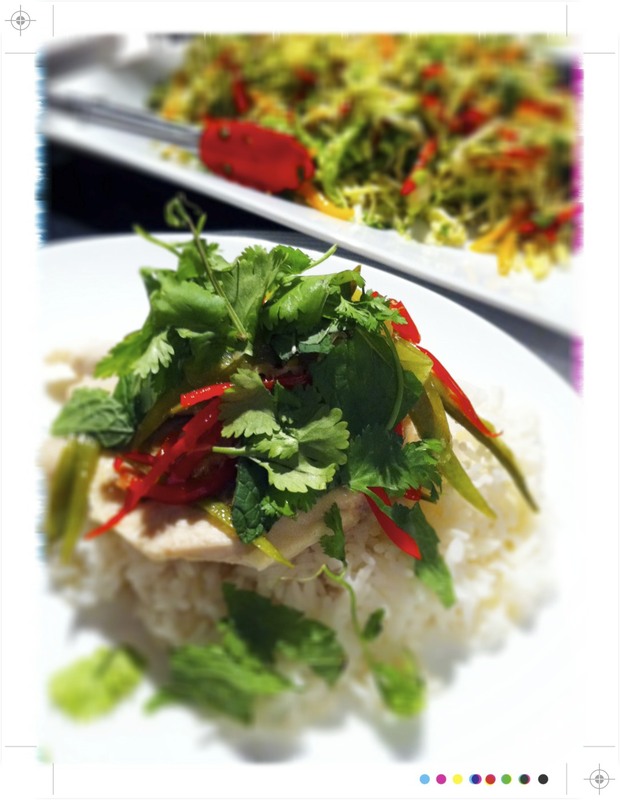 Sticky Chilli Chicken and a vibrant Thai salad for the main course. 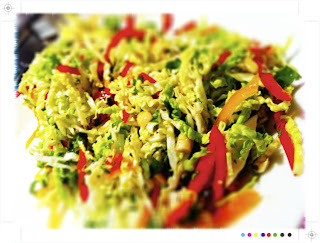 The chicken, sweet with a little heat and crunch greens brought to life with a good squeeze of lime juice atop some simply steamed rice and on the side a mound of tasty salad, shredded cabbage, thin slices of red and yellow peppers all infused with the kaffir lime, mint, coriander sprinkled wit crunchy, salty roasted peanuts. 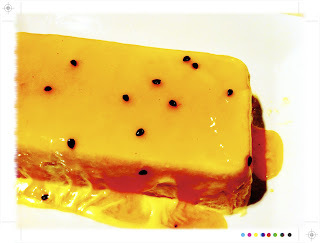 And no Supper Club is complete without dessert and a Passion Fruit Semifredo was the perfect ending. Rich, creamy all drizzled with passion fruit it was delicious. 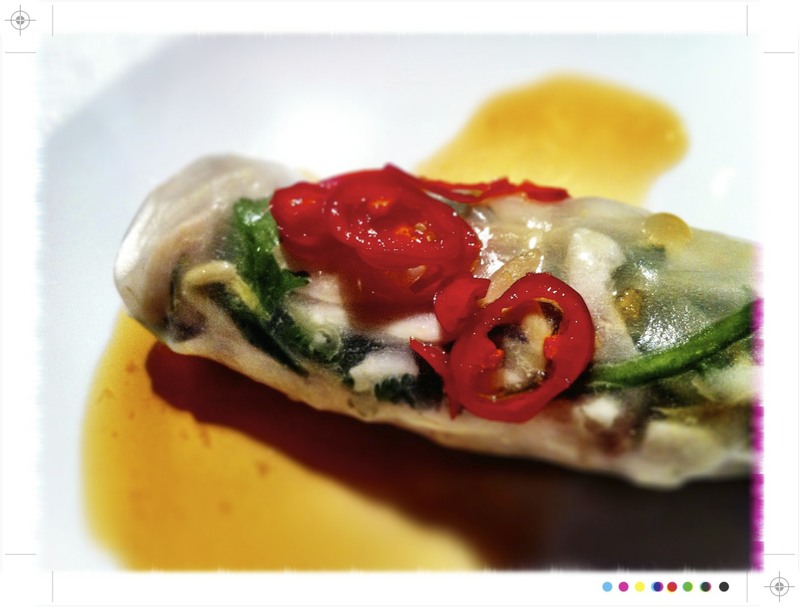 So after all that Thai inspiration here is my take on some rice paper rolls. Serves 2 as a main course or 4 as an appetiser. 1 long red chilli, seeded and chopped, or if you like a little heat throw in the seeds. 1/2 cup shaved fresh coconut, optional, but if you can get your hands on some, highly recommend it for both texture and flavour. I managed to find some frozen fresh coconut, not quite as good as fresh, fresh but still pretty good. Place the chilli, coconut cream, fish sauce and ginger in a medium saucepan and bring to the boil over a high heat. 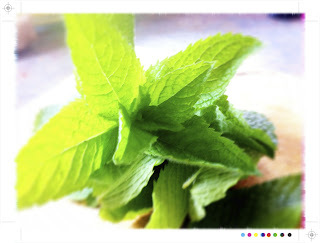 Reduce the heat to low and let the flavours infuse for a few moments. Add the prawns and poach for 5 minutes or until just cooked through. Remove the prawns from the saucepan and place in a bowl with just enough of the poaching liquid to coat them like a dressing. 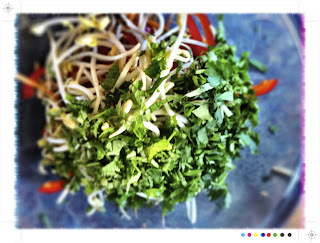 This will keep then moist and more importantly keep all those wonderful, chilli, coconut, ginger and fish sauce flavour. Pop the prawns in the fridge while you prepare the rest of the salad. 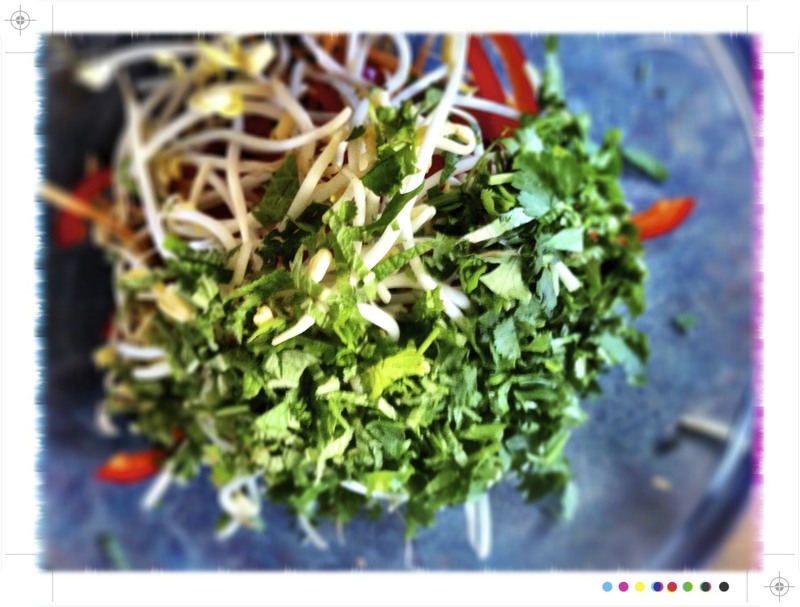 In a bowl place the bean sprouts, herbs, vegetables and coconut if using and toss to combine. 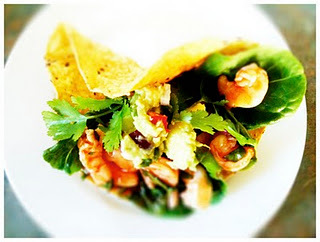 Add the prawns and mix everything together. 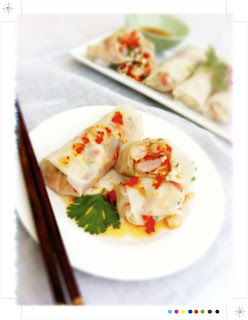 To make the rice paper rolls have a bowl of warm water and a clean tea towel laid out. Dip in a rice paper wrapper one at a time, just to soften them. Place the softened rice paper wrapper on the tea towel and add 2 - 3 tablespoons of the prawn and noodle mix. Gently wrap up the rice paper wrapper place on a serving platter. Repeat until all the mixture has been used up. There is a handy little video here. 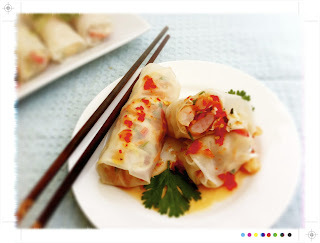 Serve with some Thai dipping sauces or if you were lucky like me to receive a jar of homemade chilli jam at Christmas Supper Club you can use that. Simply add a little water and jam is now a delicious Thai dipping sauce. Thai Dipping Sauce, courtesy of Pip's wonderful Thai Supper Club. Place all ingredients in a glass jar and shake. And then taste. If it is too salty from the fish sauce add a little more brown sugar, if not salty enough add a little more fish sauce. Just keep tasting and adjusting until you get the sweet/salty/sour balance right. Light and fresh...so perfect for summer. So much flavour and such bright clean flavours. Crunch vegetables, sweet coconut, spiked with chilli and fish sauce, the prawns juicy from there coconut bath. All those lovely tastes - I really like Thai flavours. I'll keep those mango drinks in mind too! Speaking of sun (or lack of) in Scotland, my dad used to slap himself in a mix of baby oil and vinegar - maybe to stop anyone sitting by him on the beach! No sun smart there, then?! 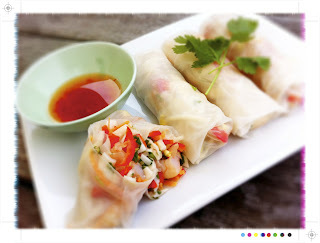 Yum, I know its 7.30 am but could seriously go Thai the way you describe everything! Soooo good - I can see that I will definitely be scarfing down a whole lot of these this summer. Love the inclusion of the fresh coconut, and what is not to love about a mango daquiri anytime?! All those flavours sound so incredible! Want! Am also very taken with the concept of a mango daiquiri. Hawaiian Tropic was my favourite sunscreen, smelled amazing, but I can't find it anymore - have made do with heavenly coconut scented Le Tan instead. @Vanessa and Ingrid Opera Thanks...yes I think I could eat them any time too. @peasepudding Sounds like my kind of Christmas dinner,,,we will be avoiding turkey too! @hungryandfrozen Thanks Laura, Or strawberry or passion fruit or any kind of daquiri!